So is his head blue like a Na’vi or purple like a certain male anatomical part? 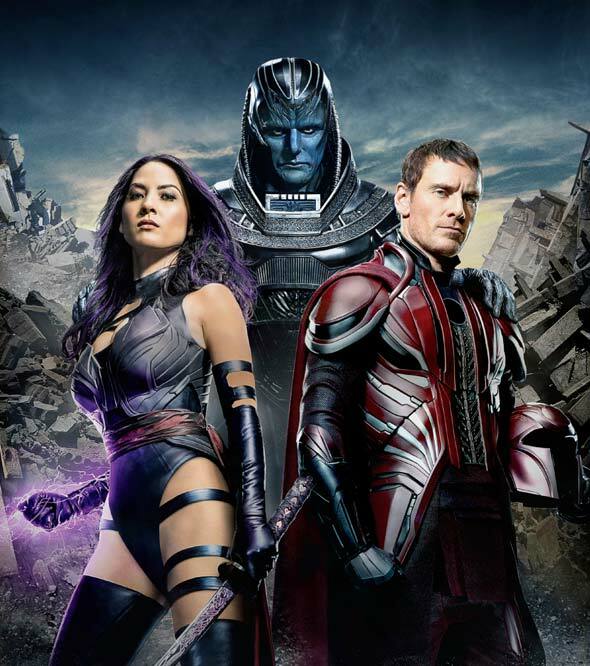 Until we see finished color-timed footage from Bryan Singer’s “X-Men: Apocalypse,” it’s probably not going to be fully clear what exact skin color Oscar Isaac’s Apocalypse villain will be donning in the new film. On-set photos seem to indicate a bright shade of purple, yet the cover for last week’s issue of Entertainment Weekly featuring what one suspects will be the final “look” skews decidedly bluer. 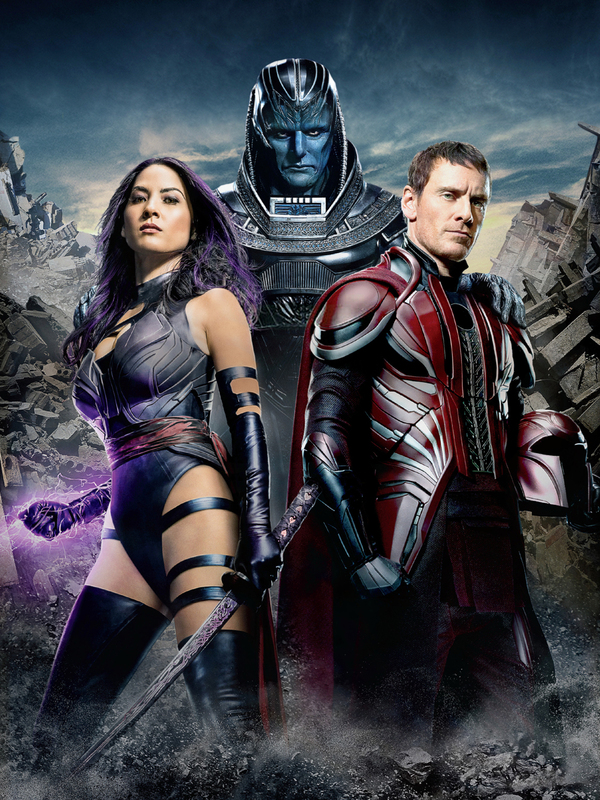 Today, a much higher res and textless version of that EW cover is out showcasing better looks not just at the villain but at both the outfits of Olivia Munn’s Psylocke and Michael Fassbender’s Magneto. The film itself is currently in production and opens in cinemas next May.